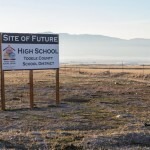 Tooele County residents can have front-row seats to a small collection of astronomical phenomena this week. 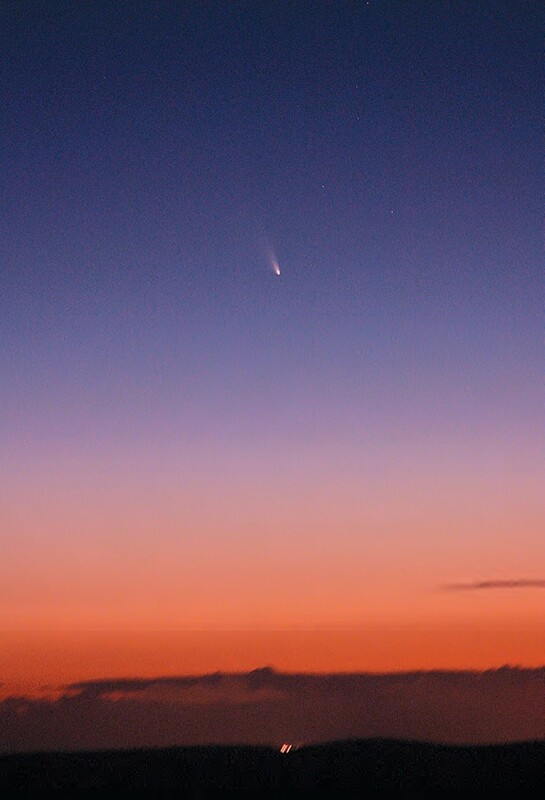 Two comets, one planet and a sliver of moon are visible in the evening sky. While some of those bodies are easier to find than others, a telescope and a guide can help — both of which will be available at a free public comet-viewing party Wednesday at the Stansbury Park Observatory Complex. Patrick Wiggins, a member of the Salt Lake Astronomical Society and a NASA ambassador, said while none of the events visible are particularly unusual, the variety is somewhat uncommon and an overall interesting olio for people to view. The comets are unusually bright. The most visible comet, dubbed PANSTARRS, is bright enough along the western horizon at dusk to be seen with the naked eye. The viewer, however, must know where to look. Experienced stargazers will be on-hand to help guide amateur astronomers, as well as the telescope for viewing use. That will help especially with trying to see the other comet, ISON, which is currently only a tiny blur but has the potential to be a very bright, nakedly visible body by November, said Wiggins. That coming presence does, however, have the caveat of comet cooperation, he added, since comets are notoriously fickle — they have to be in the right position at the right time and reflect the sunlight just right to be a notable sight. Aside from the comets, Jupiter is also visible. By using a telescope, stargazers can see the largest planet in the solar system in a way they may not have before, Wiggins said, and its visibility and presence are much more reliable than the comets. “We’ll definitely be able to show people Jupiter. That in itself is not rare, but many people have not seen Jupiter,” he said, noting that the planet is shaped somewhat differently than is typically represented. The moon is currently at a tiny waxing sliver, he said, which is also good viewing. The moon is visible for most of the night, and Jupiter is visible on the southwestern horizon after about 7:30 p.m. PANSTARRS is visible as the sky grows dark, but will sink below the horizon by about 8:15 p.m., so that viewing window is somewhat narrow, Wiggins said. However, if the comets are fickle, the weather is worse — the event, like the overall visibility of the celestial bodies, is dependent on if skies are clear. Weather permitting, the event will be from 6 p.m. to 9 p.m. at the Stansbury Park Observatory Complex, and will be free of charge. It is sponsored by the Salt Lake Astronomical Society.